The Royal Welsh College of Music & Drama has received funding from the Arts Council of Wales and The Prince of Wales’s Charitable Foundation to produce an ambitious new project to inspire school children to engage with classical music: Orchestradventure! and Orchestradventure on Tour! A new way of working for the College, and an innovation for the UK conservatoire sector, these specially devised workshops and large-scale concerts will be presented by the Royal Welsh College Symphony Orchestra and broadcaster and presenter Tom Redmond. The project will reach around 2500 5-15 year old school children across Wales over the two years. Over 1200 tickets were sold in total for last term’s Orchestradventure! Orchestradventure! further integrates outreach activity into the College’s undergraduate music degree course and ensures all music students have the opportunity to gain essential education skills. The Orchestradventure! 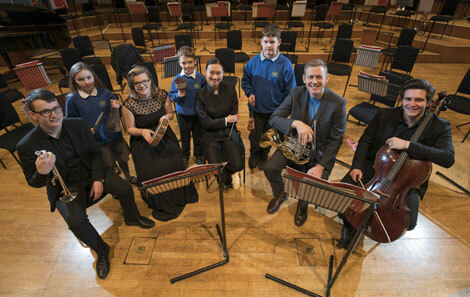 concert in Cardiff will be the end result of a stream of outreach and workshops in local Welsh schools that will deliver the core skills needed to allow school children to participate and engage in live orchestra performance. This partnership with schools in South Wales is made possible by a grant from the Arts Council of Wales. Following the performance in Cardiff, the concert will visit West and North Wales as Orchestradventure On Tour!, funded by The Prince of Wales’s Charitable Foundation. The workshops in South Wales schools will start in September, with the concerts taking place in February 2018. “It’s an amazing opportunity for the students who are performing,” says Tom Redmond. 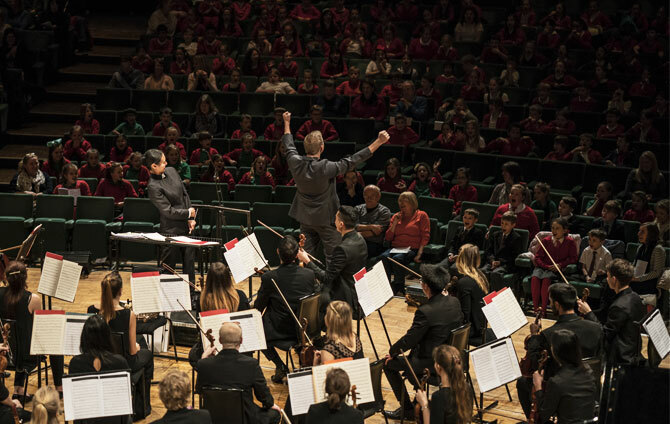 The project nurtures College students as the next generation of educators, while bringing an unforgettable experience of live music in a large scale symphony orchestra to primary learners, often for the first time. Discovery, participation and learning before the performance are at the heart of the project: the stream of outreach and workshops before the concert delivered to the schools, along with supporting materials will help to enrich the educational offer of the schools in Wales, supporting and enhancing the excellent work of local authority Music Services. This project follows the successful pilot concert in February 2017 when Orchestradventure! played to 1200 children in St David’s Hall. 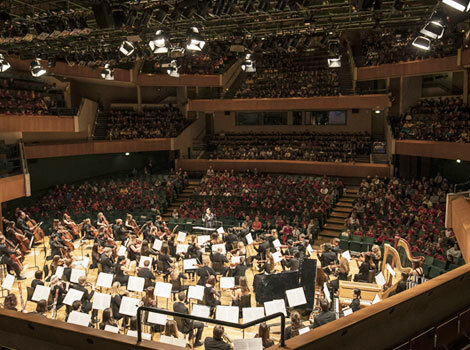 Partners include WNO, BBC Now and Sinfonia Cymru who will be working with RWCMD to produce a mutually supportive and ‘joined up’ educational offer across the two years of the Orchestradventure! journey. The Royal Welsh College of Music & Drama, the National Conservatoire of Wales, and part of the University of South Wales Group, operates within its international peer group of conservatoires and specialist arts colleges. It trains young artists drawn from around 30 countries to provide a constant flow of emerging talent into the music and theatre industries and related professions. In June 2011, the College opened new £22.5 million performance and rehearsal spaces. The world-class facilities include the Richard Burton Theatre, the Linbury Gallery, a café bar, rehearsal studios and the Dora Stoutzker Hall. The College has just been ranked the top Drama training programme in the UK the Guardian University League tables for the third time in four years. The Prince of Wales’s Charitable Foundation was founded by The Prince of Wales in 1979. Profits generated from the sales of Waitrose Duchy Organics and Highgrove products and Highgrove garden tours are donated to the Foundation. The Foundation acts as a grant-making body that supports a wide range of causes and delivers programmes such as the International Sustainability Unit and Accounting for Sustainability.